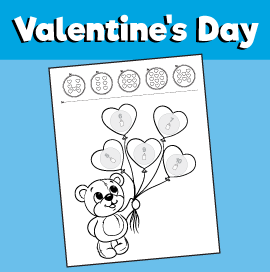 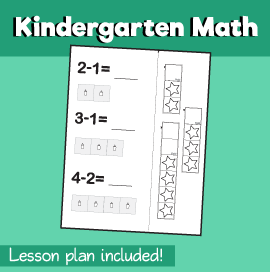 Teacher Directions · Practice writing and saying each number to 20. 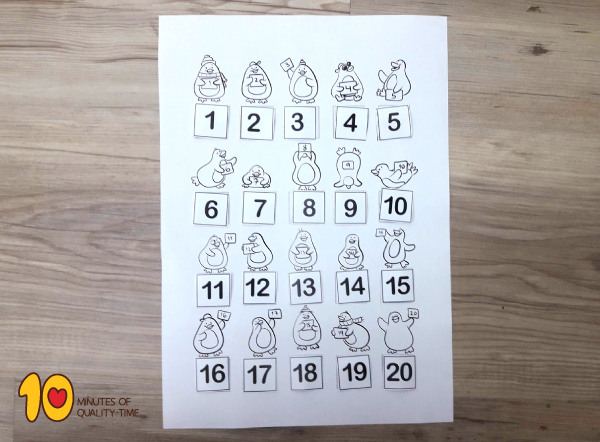 · Have a copy of the numbers 1-20 from the printable and ask students to take turns putting one in ascending order on the board or a chart. 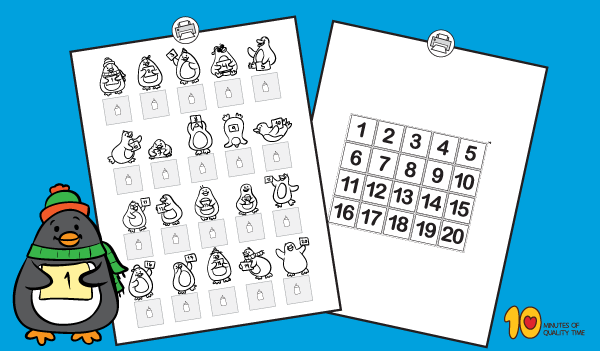 · Model for students the process of finding the “1” square and gluing it under the first penguin. 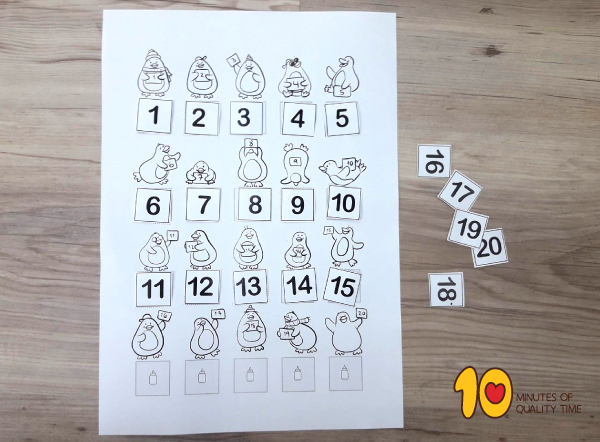 · Have students arrange the next five – ten numbers without gluing them. 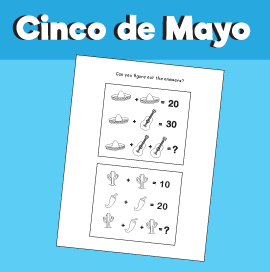 · Ask students to raise their hand when they are ready for you to check their progress. 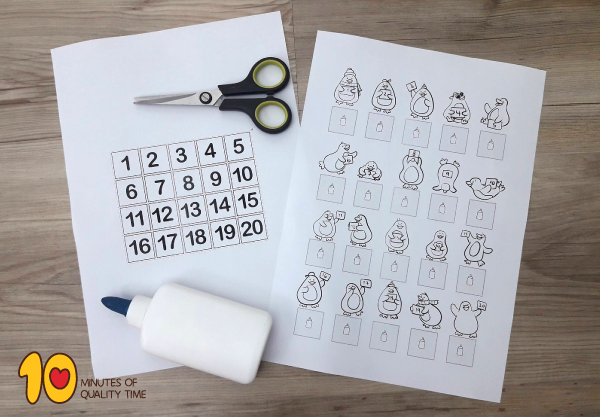 · After you monitor accuracy, give permission to glue the set. 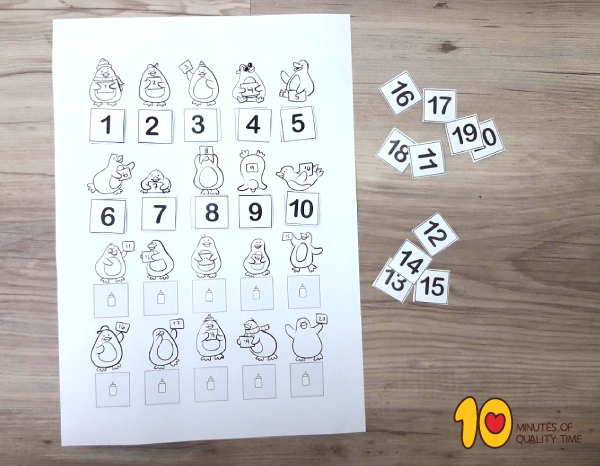 · Repeat this step until all 20 numbers are correctly glued in order.